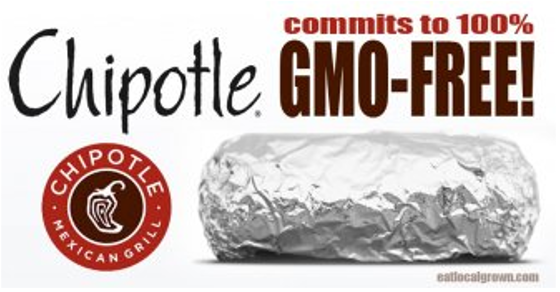 “With voters in Colorado and Oregon set to decide measures requiring clear labels on food that contains genetically modified ingredients, Chipotle, the Denver-based fast-food chain, is urging residents to approve the initiatives that Monsanto, Kraft, and Pepsico have spent millions to defeat. This entry was posted in GMOs, News, Nutrition, Stuff We Dig and tagged chipotle, Monsanto, non-GMO. Bookmark the permalink.